Through the history of video and PC gaming, nearly every battle, skirmish, and secret operation that took place during World War II have been recreated in a video game one way or another. While some World War II games try to stay true to the historical facts and records, others have taken some liberties and adjusted history to fit into new, fantastic storylines that feature everything from the paranormal to aliens and even zombies. The wide variety of games speak to how popular World War II games have been over the years. The list of Top World War II first-person shooters that follows is a definitive list of World War II Shooters which includes recent releases and older favorites, which are considered by many, to be Top World War II games across all genre. 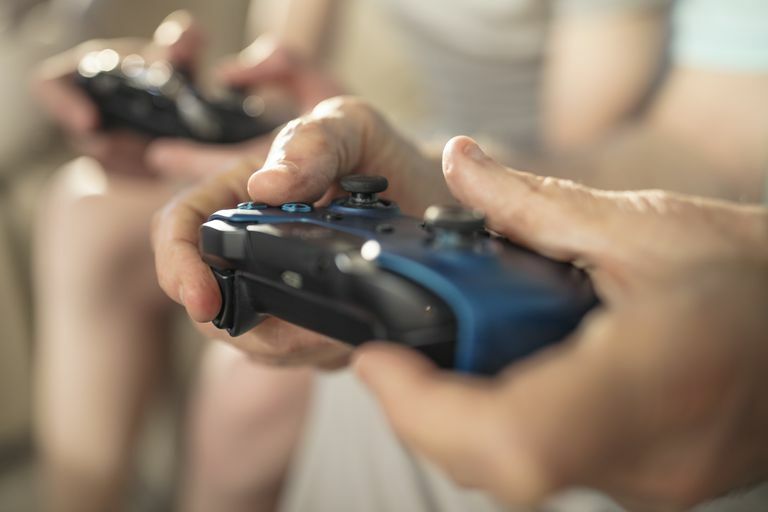 Whether you're a fan of World War II shooters or not these titles are sure to provide some great pulse-pounding action and game play and may even teach a little history lesson along the way. Authentic World War II experience. Short compared to other games. Campaigns must be played in order. The original Call of Duty released back in 2003 tops the list of best World War II first-person shooters. After nearly a dozen years since its release, it is still the standard bearer when it comes to Top World War II shooters. While it may no longer have the most state of the art graphics, the gameplay and storyline are still top rate and it is a nostalgic look back at the game that started one of the most successful video game franchise in history. Call of Duty features three single-player storylines and six competitive multiplayer modes. In addition to the core Call of Duty game, there was also one expansion pack called Call of Duty: United Offensive. Both the core game and expansion pack can be found bundled in the Deluxe Edition or through many digital distributors. Medal of Honor: Allied Assault, was released back in 2002, right in the middle of that "golden age" of World War II shooters that saw the release of numerous World War II-themed games that are part of this list. Medal of Honor Allied Assault was the third game in the Medal of Honor series but just the first released for the PC following the success of the original Medal of Honor for the Sony PlayStation system. In it players take on the role of US Army Lt Mike Powell as he fights to survive D-Day and the opening days of the invasion of Europe. Medal of Honor Allied Assault also had two expansion packs released, Medal of Honor Allied Assault Spearhead which centers around a paratrooper fighting on D-Day, The Battle of the Bulge and behind enemy lines in Berlin. The second expansion called Breakthrough moves the game to the North African campaign, Sicily, and Italy depicting famous battles such as the Battle of Kasserine Pass, The Battle of Monte Cassino and more. The core game and its expansion packs have been re-released in a number of combo packs. Nothing unique about single player mode. Return to Castle Wolfenstein is a reboot of the original Wolfenstein 3D first-person shooter which was released for MS-DOS and other computer systems in the early 1990s. While Return to Castle Wolfenstein shares some story elements from the original it is a really new story. In it, players take on the role of B.J. Blazkowicz who has been captured in Castle Wolfenstein while trying to investigate the German SS Paranormal Division. Players take control of B.J. just as he has escaped and tries to make his way out of the castle. He soon discovers the horrors awaiting the Allies if he cannot stop the SS Paranormal Division now. By today's standards, the graphics may look dated but are definitely on par with Medal of Honor Allied Assault and Call of Duty. The exciting storyline, level design, and gameplay are all top notch though and the game's multiplayer portion was groundbreaking when released and can still be seen in more recent multiplayer shooters. The game did not include any expansion packs and was finally followed up by a sequel Wolfenstein and Wolfenstein The New Order can be found in this list. Based on actual WWII battles. Harder than most other shooters. Brothers In Arms: Road to Hill 30 is a first-person tactical shooter that in which players control a squad of troops from the 101st Airborne Division in the opening days of the Normandy Invasion of Europe during World War II. Both the squad and characters are real-life heroes who fought for the 101st. Players will control a single paratrooper but must use the help of his entire squad if he wants to succeed at any of the missions. Players do this by issuing various commands such as providing covering fire, taking cover, assault, retreat and more. At the time of its release, the squad-based concept was relatively new to World War II shooters and the success of Brothers In Arms: Road to Hill 30, both for the PC and console systems lead to a number of sequels. Won't run on a slower computer. It is really amazing that so many top-selling video game franchises got their start with a World War II-themed game. Battlefield: 1942 is one example and is the first game in the hugely popular Battlefield series of multiplayer first-person shooters. Battlefield: 1942 introduced us to the idea that a game could succeed as a multiplayer only game. When it was released, the game included dozens of maps, five different armies to choose (depending on map), and authentic weapons and vehicles. Battlefield: 1942 included two expansion packs Road to Rome and Secret Weapons of World War II, both of which introduced new weapons, vehicles, maps and more. After the two expansion packs, the Battlefield series moved on from the World War II setting to Vietnam and the modern military with the blockbuster Battlefield 2. Those still looking to get a multiplayer World War II fix can get it for free on Origin, EA's digital download service. Otherwise, there are a number of combo packs that include this and all the expansions that can be found for less than $10. Call of Duty 2 is the second installment in the Call of Duty series returning the European theater of operations where players can play through four individual single-player campaigns which each tell the story of a different soldier. The four campaigns include a Soviet campaign, two British campaigns - One in North Africa and one in Europe, and an American campaign. There are a total of 27 missions across all four campaigns. Call of Duty 2's multiplayer component was also widely successful with more than a dozen maps, four countries to choose from depending on the map and support for online battles up to 64 players on dedicated servers. Some tactical moves are difficult. Slower action than other shooters. Characters and action can be unrealistic. Brothers In Arms: Earned In Blood continues the story that began in Brothers In Arms: Road to Hill 30. This time players will control Sargeant Joe Hartsock, who was a squad member in the previous game. The single players story for Earned in Blood is split into three chapters; the first part covers time during initial D-Day invasion; the second part takes place during the liberation and subsequent defense of Carentan - in this chapter players are in command of the 2nd Squad, 3rd Platoon; and the final chapter takes place around Saint-Sauveur-le-Vicomte. The timeline for the first chapter of Earned In Blood overlaps with Road to Hill 30, but all of the missions from this first part are all new and not found in the original game. The game play of Brothers In Arms: Earned In Blood is identical to that of Brothers In Arms: Road to Hill 30, with players controlling a primary soldier in first-person perspective with the ability to issue commands and orders to squad members. The also features the Same Unreal Engine 2.0 graphics engine used in the original title and also includes enhanced enemy AI where enemy soldiers respond and adjust based on player movements and commands. Brothers In Arms: Earned In Blood is a solid sequel that has another great storyline and proven game play. More gore than most shooters. Similar to previous COD games. Call of Duty: World at War is the third and possibly last Call of Duty game set during World War II. The game is actually the first chapter in the Black Ops story arc, with the Call of Duty Black Ops moving the story into the Cold War and Call of Duty Black Ops II moving the story from the cold war into the near future. The story of Call of Duty World at War begins in the Pacific theater of operations on Makin Island with players taking on the role of a marine private who is rescued by a squad of Marines. The mission loosely follows that of the real-life Makin Island Raid which occurred in August of 1942. The storyline then shifts to the Eastern front of the European campaign with players taking on the role of Russian private during the Battle of Stalingrad. The game follows this back and forth style between the European and Pacific theaters through 15 missions and the end of the War. In addition to the single player, Call of Duty World at War also includes a robust competitive multiplayer mode that contains the four countries featured in the single-player campaign and six different multiplayer game modes including deathmatch, capture the flag, team survival and more. Call of Duty World at War was also the first game to feature the extremely popular Zombies mini-game which is a four-player cooperative game where player s try to survive as long as possible against and an unrelenting horde of Nazi zombies. The zombies game mode was so popular that is has been featured and expanded upon in each of the Black Ops story arc games as well as Call of Duty Advanced Warfare. Low ammo is a constant issue. Some missions can be mundane. Wolfenstein: The New Order is the eighth game in the Wolfenstein series of World War II first-person shooters if is the third title since the reboot of the series in Return to Castle Wolfenstein which was released back in 2001. The storyline follows a an alternative history of the game in which Nazi Germany won World War II of the 1940s. Set some 20 years after the Nazi victory, the game is technically not a World War II game but is included here due to the fact that Europe is under the control of Nazi Germany and continues to have a resistance movement against Germany so some say World War II never officially ended in this fictional timeline. In the game, players once again take on the role of B.J Blazkowicz who awakens from a 14-year vegetative state in a Polish asylum just before he is about to be executed. He escapes and soon joins the resistance movement and once again battles against the Nazis. Gameplay features include a cover system which aids players in combat with the ability to lean and shoot from behind cover and a unique health system that is sectioned and regenerates but if it an entire section is depleted it will not regenerate without a health pack. Wolfenstein: The New Order The game does not contain a multiplayer game mode, instead focusing on the single-player campaign which is told over 16 chapters/missions. Exciting new maps and weapons. Online servers difficult to find. Online play has few players. Heroes of the West is a community developed mod for Red Orchestra 2 & Rising Storm that switches the theater of war to the Western Front with allied soldiers of the United States and Great Britain fighting against the Germans in some of the most famous battles of World War II. This includes the D-Day landings at Omaha Beach, Battle at Carentan, Port Brest and Operation Market Garden. This mod adds the British Airborne as a new faction and includes 4 new multiplayer maps and 5 new character models including American Rangers and American/British Airborne. The mod also includes 4 new multiplayer maps and 10 new weapons. The game will require Rising Storm in order to play. More gory than most shooters. Online server connections can glitch. Red Orchestra: Ostfront 41-45 is a tactical first-person shooter that is set on the Eastern Front during World War II depicting the struggle between Germany and the Soviet Union. At the time of its release, it was billed by developer Tripwire Interactive as the only World War II first-person shooter to focus solely on the Russian front. The game initially began as Red Orchestra: Combined Arms a total conversion mod for Unreal Tournament 2004. This game when through a number of versions until it was announced that it would be released via Steam as Red Orchestra Ostfront 41-45. Red Orchestra: Ostfront 41-45 is primarily a multiplayer game with more than a dozen maps and support for up to 32 players online. The game also includes 14 different vehicles and 28 authentic infantry weapons. Red Orchestra: Ostfront 41-45 puts an emphasis on realism featuring an advanced ballistics system that uses physics to simulate bullet drop, flight time and more. Players also will not have the benefit of animated crosshairs to help aid them in aiming their weapon, instead, players will either fire from the hip or use the iron sites provided on the weapon. Vehicles are also more realistic than what you will find in other games on this list with tanks having more realistic armor and multiple players can man a vehicle such as a three-man tank crew with each player taking on a different responsibility. The game was followed up with a sequel in 2011 called Red Orchestra 2: Heroes of Stalingrad. Smaller scale than other shooters. Day of Defeat: Source is a team-based multiplayer World War II first-person shooter that was released in 2005 by Valve Corporation and is a remake of the Day of Defeat mod for the original Half-Life. Day of Defeat: Source is set in the European Theater of operations during the final year of the war. Players select to fight for either the United States Army or the German Wehrmacht and then choose from one of six character classes. The game includes two game modes - territorial control in which teams will fight to control strategic points on the map earning points towards victory. In detonation there are two variations that are primarily the same - one team will have the objective of planting and detonating explosives in various positions around the map while the other team must defend those positions. In the other variations, both teams must plant and defend against the explosives. The six character classes each have a specific combat role they will play on the team which makes teamwork important. Each will have starting weapons and equipment based on the class with the weapons being authentic to World War II. With the exception of uniform and weapons, the classes are identical between the US and German armies and they include Rifleman, Assault, Support, Sniper, Machine Gunner, and Rocket. Medal of Honor: Pacific Assault is the second full release for the PC in the Medal of Honor series of games after Medal of Honor: Allied Assault. It is a first-person shooter set during World War II in the Pacific Theater of operations. In this game players take on the role of a Marine private opening with the assault on the island of Tarawa that immediately flashes back to the start of the war after the player's landing craft is hit by an artillery shell. Players will go through a series of missions through the Pacific including the Makin Island Raid, Guadalcanal, Tarawa and more. The gameplay in Medal of Honor Pacific Assault is pretty typical of other shooters in the first person shooter genre with exception of one mission in which the players will pilot an SBD Dauntless dive bomber. The game includes a total of 11 mission in the single-player campaign and a competitive multiplayer game mode that features four classes, eight maps, and four game modes. Lower priced than other shooters. Deadly Dozen: Pacific Theater as the title suggests is set during World War II and follows a band of army misfits through various battles against the Japanese. Set in 1942, the players will command a squad of soldiers as they are sent to carry out commando-style raids against the island stronghold of Japan. Players will have the ability to setup and customize their squad of 12 soldiers, choosing different soldier types and specialists based on a particular mission's objective. These missions include objectives such as intelligence gathering, POW rescue, and many more. The game includes both a single player story campaign as well as a co-operative multiplayer and competitive multiplayer with modes such as deathmatch. Can be difficult for beginners. Brothers In Arms Hell's Highway is the third release in the Brothers In Arms series of World War II first-person shooters. Hell's Highway returns players to the role of Mayy Baker who has since been promoted to Staff Sergeant. In it, players will control Baker and his 101st Airborne Division squad-mates through a series of missions during Operation Market Garden in the fall of 1944. The game features quite a few gameplay features not included in previous Brothers In Arms games including specialized units with bazooka and machine gun teams, the ability for players to take cover and fire from the third person perspective, a new health system and action cam. Action cam which is unique to Hell's Highway zooms in and shows an enemy's death in slow motion when a headshot, good grenade placement or explosion takes out an enemy. The game's end is a little open-ended leading one to believe that there will be a four sequel in the PC/console series of games but 6 years on, a four-title has yet to materialize with Gearbox Software instead focusing on iOS and Android games in the Brothers In Arms series. Large, flexible areas to explore. Online multiplayer has 12 player max. Checkpoint save system can get annoying. Medal of Honor: Airborne is the third World War II first-person shooter from the Medal of Honor series that has been released for the PC. The game contains both a single player campaign mode as well as a competitive multiplayer mode. Players take on the role of Private Boyd Travers who is part of the United States Army's 82 Airborne Division and it includes paratrooper missions all over Europe including Italy, France, the Netherlands, and Germany. In each mission, players will parachute in behind enemy lines and fight to complete objectives in a non-linear way depending on where they land on the map. This is a change from the previous two Medal of Honor games in the series where players complete missions and objectives in a set order and do not move on to the next until the prior one is complete. The single-player missions are fairly broad and cover most of the war they include Operation Avalanche, Operation Neptune, Operation Market Garden, Operation Varsity and a final mission that is not based on an actual battle/operation from the war. The game's multiplayer mode includes the players fighting for the Allies and parachuting onto the map or fighting for Germany and defending the map from the paratroopers. Realism mode is extremely difficult. Online multiplayer can be glitchy. Red Orchestra 2: Heroes of Stalingrad is a World War II tactical first person shooter centered primarily around the Battle of Stalingrad between Germany and the Soviet Union. The game play is similar to that of it's predecessor, Red Orchestra: Ostfront 41-45, but does feature new game play elements such as blind firing and a new covering system. The game also features the realism found in Red Orchestra with realistic ballistics, no ammunition counters, and health that does not regenerate. Also, most gunshots end up killing on one shot or severely hindering soldiers if they are injured with a non-fatal shot. Red Orchestra 2: Heroes of Stalingrad also features a wide array of authentic vehicles that players can man including the German Panzer IV and Soviet T-34 tanks. The game has also seen the release of a DLC pack titled Armored Assault which features new tanks and weapons. There is also a stand-alone expansion/total mod titled Rising Storm which shifts the focus of battle from the German/Soviet Eastern Front to the Pacific Theater with the United States and Japan. Many glitches throughout the game. Hidden & Dangerous 2 is a World War II tactical first-person shooter in which players are put in command of a small squad of British SAS soldiers working against Germany behind enemy lines. The gameplay is similar to the original Hidden & Dangerous with voice commands, vehicles, and the ability to take prisoners and use stealth maneuvers. The storyline campaign covers missions that span 1941-45, players will choose a four-man squad from a pool of 30 soldiers as they set out on various missions that cover Europe, North Africa and Asia including Norway, Libya, Burma, Austria, France, and Czechoslovakia. Mission types include espionage, sabotage, search and destroy, liberation, prisoner rescue & capture and more. Hidden & Dangerous 2 also has one expansion pack called Sabre Squadron which adds missions in France, Italy and Sicily which are loosely based on actual SAS operations. The game also includes a multiplayer mode being hosted by a third party since the original Gamespy service shut down in 2012. Find gold for weapon upgrades. Some plot elements are cliche. Wolfenstein is a World War II first-person shooter set in a fictional city telling a paranormal/sci-fi based storyline. In it, players take on the role of B.J. Blazkowicz who is sent to the city of Isenstadt to uncover the secrets behind a supernatural medallion and Nachtsonne crystals that are being mined by the Germans around the city. The single-player storyline for Wolfenstein features 10 missions, with each mission having multiple objectives, that tell the main story. Along with those missions, there are five side quests and three exploration missions. These side quests and exploration can be completed in a non-linear format. The multiplayer component of Wolfenstein has a total of eight maps, each of which is separate from the environments/missions of the single-player campaign and various modes including deathmatch, team deathmatch, and objective-based modes. Not a unique WWII shooter. Sniper Elite 3 is a World War II tactical shooter and third title in the Sniper Elite series of video games. It is the prequel to Sniper Elite 2 set in 1942 North Africa during World War II. In it, players take on the role of a sniper completing various missions to assassinate or stealth-fully take part in close combat. In addition to sniper rifles, players will have the ability to use other sidearms such as pistols and machine guns. Sniper Elite 3 has the same gameplay elements found in Sniper Elite 2 with improved gameplay mechanics and large maps. The setting includes various battles in North Africa including the Battle of Tobruk. The last game in our list of Top World War II shooters is The Saboteur and it is the one third person game on the list simply because of the fun game play elements and great atmosphere, capturing the true 1940s looking black and white scenes. In the game players take on the role of Sean Devlin, an Irish car mechanic, who has set out for revenge after his best friend was executed by a Nazi colonel who had also cheated him out of a car race and the prize. Sean sets out by taking part in underground rebellious activities trying to provide hope for those under Nazi control. The color of each of the game's environments plays a key and unique element in the game. Areas that are under Nazi control are shown and played through in black and white. As the player build up morale of the locals the environments will change color and those areas where citizens have regained hope and are fighting back against the Nazi's are shown in full color. The Saboteur only contains a single player campaign, there was one DLC released for the game which was actually included in the PC version of the game. This DLC was a patch that included fixes and extra locations and a minigame.